With the emergence of the ‘global market place’ most manufactured goods no longer compete on a regional or even national basis, they compete on a global basis. Competition in the form of price, quality, lead time, and standards compliance determines who is successful and who isn’t in the global manufacturing arena. Added to the complexity of competing in a globally is the general over-capacity of manufacturing created back in 2008/2009. If you find your manufacturing operation as anything less than world class TRA can help you analyze and improve your business in a number of key areas. is an area that requires new systems or procedures. improvements to your cycle time and your cost to manufacture. beneficial effect on your inventory levels. trade-offs and advantages of the choices. 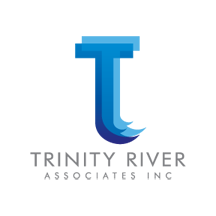 TTrinity River Associates is home of TAB in The Woodlands, Texas. The Alternative Board TAB® is a community of owners of private businesses that assemble to overcome challenges, to seize new opportunities and to prosper through peer learning, executive coaching and unprecedented access to premier tools and resources. TAB members meet recurrently to leverage each other's successes and mistakes and to grow their businesses to the next level. Members also create more valuable and profitable companies with scheduled strategic business coaching sessions focused on business and personal growth.